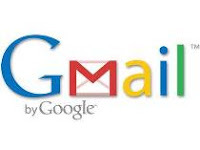 Google is all set to allow users to make phone calls from Gmail service, with the new facility Gmail users will able to make call on landline phones as well as on mobiles phones from their Gmail account and GTalk service. In coming days Google is launching this service which would have option of call phone in the chat list and you need to click on, where you need to enter the dialing number and can make call to anyone and in the country as well outside of the country. 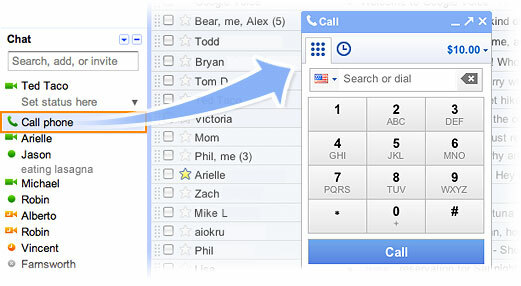 Google is going ahead of Skype and they have huge users of internet telephone calls. Google is making it have been very easy for everyone who is using a Gmail service. In beginning of launching the calls would be free of cost at trial and testing basis for few countries. Call to the US and Canada will be free of cost for at least rest of the year and call to other countries will be charged at low rates. Call to India would be charged at $.06 per minute. You can make video chat as well, for that you have to install Gmail voice and video chat installer . Now it’s been easy to stay in touch with your friends and family members using your microphone and speakers. But it works only when both people have signed at internet in the Gmail or GTalk account. It does not mean that we need to sit on computer for the whole day for talking to someone over phone for that we can use our mobile phone as well, can call from there at a cheaper rate to belongings. This entry was posted in Technology on August 27, 2010 by Yogesh Bajpai.